The bandurria is a traditional Spanish folk instrument, with twelve strings in pairs tuned in unison. It’s scale length is similar to that of the mandolin. 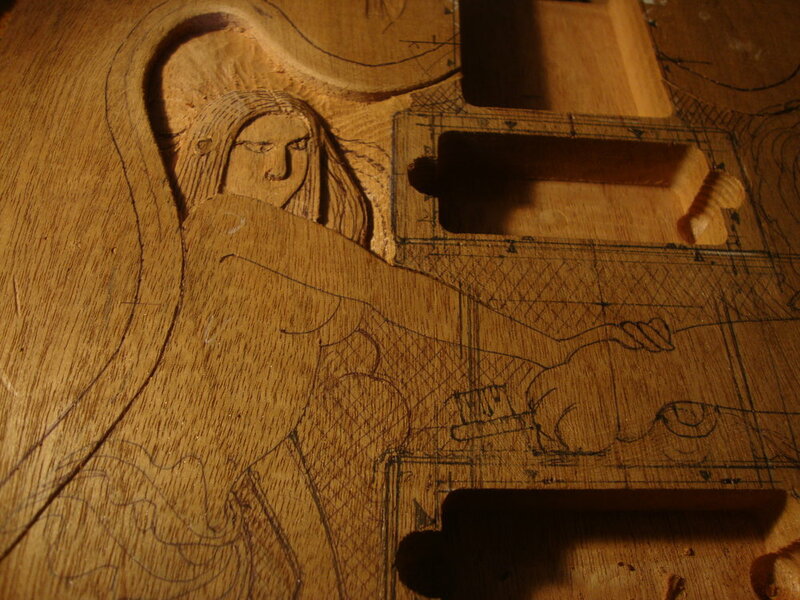 This instrument was commissioned by a client who was looking for a modern interpretation of the instrument, and requested a carved top alluding to aspects of Spanish history. 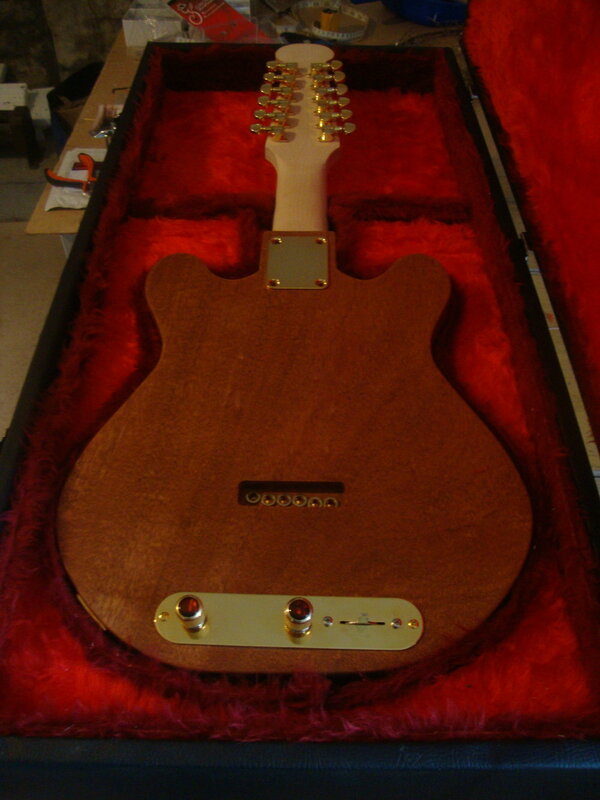 A mahogany body with a maple neck is fronted by a maple/mahogany split fingerboard. A pair of Kent Armstrong mini humbuckers with rear mounted tone and volume pots run through a Schaller “Mega Switch” giving a multitude of possibilities tone wise. 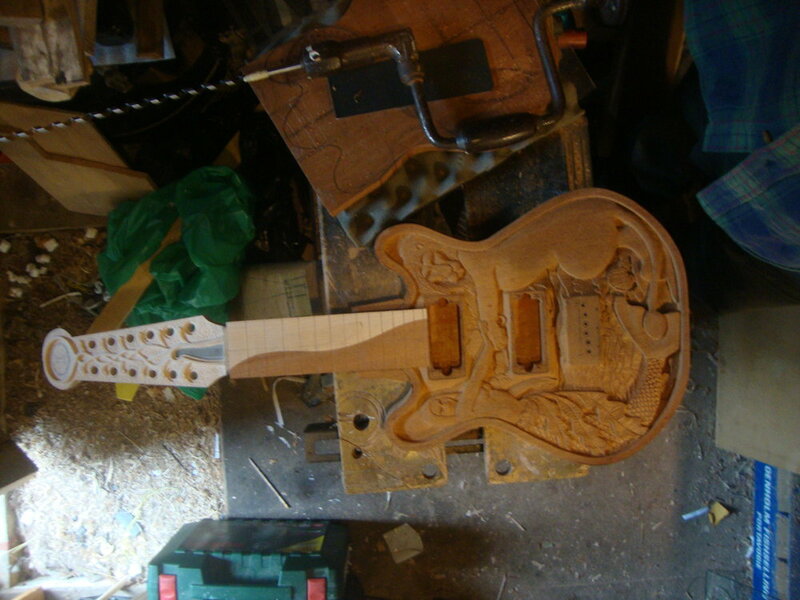 Grover machine heads are fitted in this case. All content copyright © 2000–2016 Richard A. Levens. All rights reserved.